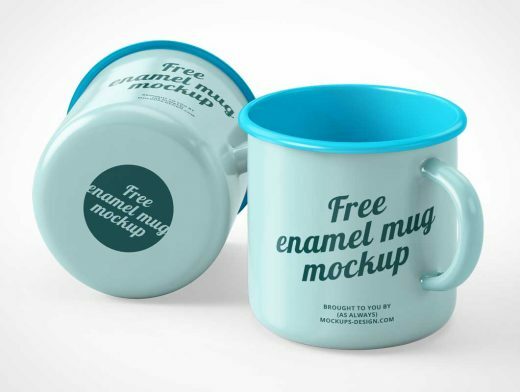 Another enamel mug mockup. This time composed as a pair. You can change entire mug color as well as the bottom of the left one.